In a 10-hour surgery earlier this month, surgeons from Children's Hospital of Philadelphia and Penn Medicine successfully transplanted donor hands and forearms onto eight-year-old Zion Harvey. 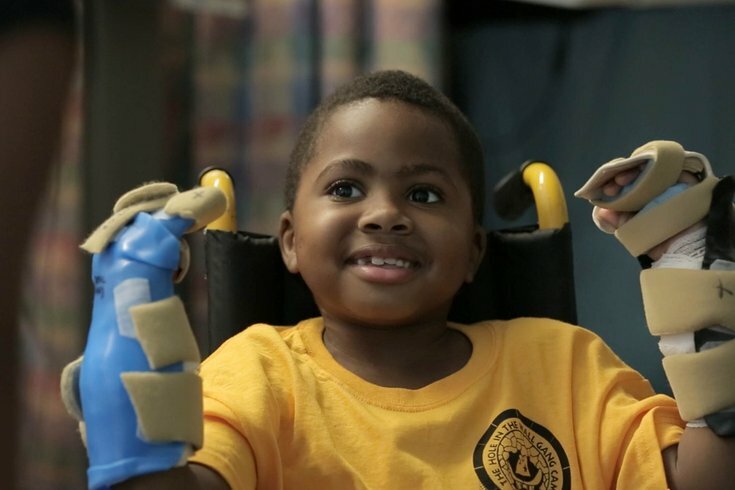 Zion Harvey, the 8-year-old boy who in July became the world’s first child to receive a bilateral hand transplant surgery, was discharged from Children’s Hospital of Philadelphia earlier this week to return home to Baltimore. A 40-person multidisciplinary team comprised of specialists from CHOP, Penn Medicine and Shriners Hospitals for Children – Philadelphia, successfully performed the groundbreaking operation over a 10-hour period, granting Harvey the potential to lead a more autonomous life. Harvey lost both his hands and his feet at age two to a life-threatening infection that required kidney transplantation. With the help of prosthetic feet, he learned how to walk, run and jump under his own power and was deemed an ideal candidate for the hand transplant because of the immunosuppressant medication he was already taking to help his body accept the new kidney. Following the surgery, chronicled in the video below, Zion spent a week in CHOP’s Pediatric Intensive Care Unit, the hospital reported. He then spent time in a medical unit before being moved to an inpatient rehabilitation unit, where he worked on improving his hand function through a daily regimen of physical and occupational therapy, the hospital reported this week. The next step in Zion’s treatment will be outpatient therapy, which may span the course of two years as he assimilates the use of his new hands. Dr. Levin, director of the Hand Transplantation Program at The Children’s Hospital of Philadelphia, chairman of the Department of Orthopedic Surgery at Penn Medicine, and professor of Surgery in the Division of Plastic Surgery at UPenn’s Perelman School of Medicine, will initially monitor Zion on a monthly basis with the help of his team. That commitment will continue throughout Zion’s life as he continues to receive annual check-ups. Doctors are very optimistic about Zion’s prognosis, and with football season gearing up, he's now one step closer to accomplishing that goal of tossing a pass.